Apply for one of our Bachelor Degrees here. Collarts welcomes applications from international students. If you fulfil the entry requirements, please complete an online application form and one of our staff members will contact you for further screening and processing of your application. If your application is successful you may be issued with a conditional letter of offer and invited to an interview and/or audition. You will be required to undertake a 30-minute interview. This interview is not a test of English and will involve a range of questions on your previous knowledge and experience, we will ask you why you are interested in the course and what your study and career goals are. We will also go through the course with you and answer any questions you have about Collarts. You will be required to undertake a 30-minute interview. This interview is not a test of English and will involve a range of questions on your previous knowledge and experience, we will ask you why you are interested in the course and what your study and career goals are. We will also go through the course with you and answer any questions you have about Collarts. You will also be required to submit a 300 word essay on your interest in Entertainment Management and your overall goal for the course. This is to be submitted prior or at the time of the interview. You will be required to undertake a 30-minute interview. This interview is not a test of English and will involve a range of questions on your previous knowledge and experience, we will ask you why you are interested in the course and what your study and career goals are. We will also go through the course with you and answer any questions you have about Collarts. You will also be required to submit a 200 word essay on your interest in Entertainment Journalism and your overall goal for the course. This is to be submitted prior or at the time of the interview. You will also be required to submit a portfolio of relevant experience, writings or digital submissions along with your original essay. You will be required to undertake an audition and interview. The audition involves performing two pieces (of contrasting music genres) on your primary instrument. If you are a songwriter, both of your pieces must be original compositions. After your audition has been completed and uploaded, you will also undertake an interview. This interview is not a test of English and will involve a range of questions on your previous music knowledge and experience, we will ask you why you are interested in the degree and what your study and career goals are. You will also be asked to complete a 5-questions written theory evaluation. This is not a pass/fail portion of the process but will assess your theory level to place you into the correct theory stream with other students. * If you are not based in Melbourne, we will provide you with details of an online interview and/or audition process. This is usually done over Skype or Facetime and the audition can be provided as a video audition. Copy of high school transcripts that demonstrate successful completion of Year 12 or equivalent. These transcripts must be certified and translated (if originals are not in English). A copy of English test score results from the last 18 months, evidencing IELTS 6.0 (no band less than 5.5) or equivalent (TOEFL or PTE equivalent can also be accepted). Applicants for the Diploma of Entertainment Journalism will require an IELTS 6.5 (no band less than 6.0) or equivalent. Collarts can also recommend English language colleges with a direct pathway if you need to study English before you start. Certified copy of your current visa, if you are currently residing in Australia. * Please note some countries and citizenships are required to use an Education Agent to assist with their application which may include Genuine Temporary Entrant (GTE) requirements to be met in accordance with The Australian Department of Immigration and Border Protection – DIBP. Fees are $2,720 per unit, which is $10,880 per trimester for a full-time study load.The total cost for our diplomas (two trimesters of study) is $21,760 with the exception of the diploma of Entertainment Journalism (three trimesters of study) which is $32,640. The total cost for the two-year (six trimesters) degree is $65,280. The total cost for the double degrees (nine trimesters) is $97,920. You can see the full 2019 Fees Schedule here. Please note international students must pay the trimester fee at least two weeks prior to the trimester commencement. Collarts provides international students with experience and financial-based scholarships each year. Students may be eligible to apply depending on their circumstances. Contact the International Recruitment Team to check if you qualify. Please see our International Student Guide for detailed information about admission processes, enrolment, fees, campus details and information about the college’s policies and procedures. Australian Government regulations require all international students to have current health insurance coverage for their period of time in Australia. A student visa cannot be granted until the student health insurance coverage has been paid. The current cost for 14 months coverage is approximately AUD$602. The Australian Government has established a legislative framework to ensure the provision of quality education and to ensure that the rights of international students are protected. This legislation is known as the ESOS Framework. An easy to understand guide to the protection of international students in Australia is available at the Australian Education International website. Enrolling students can apply for Recognition of Prior Learning (RPL), if they believe they already have the skills and knowledge that will be taught and assessed in a subject. 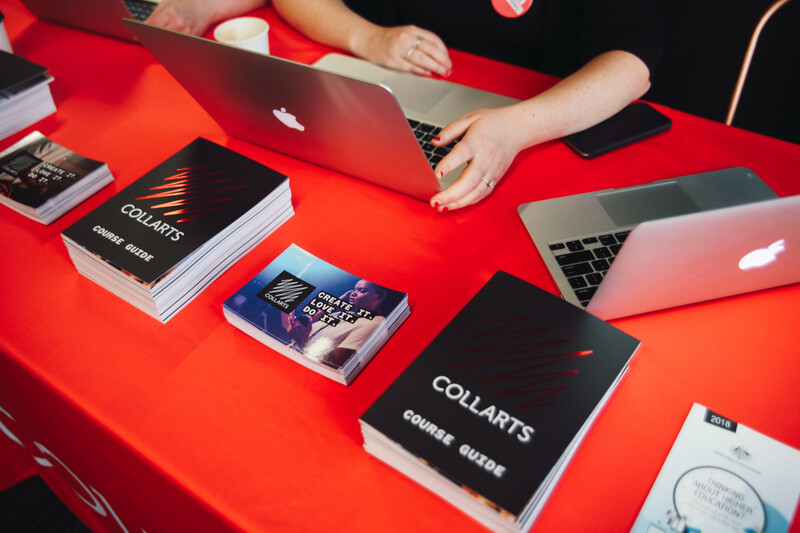 Please refer to the Collarts RPL section of our website. International students should be aware that receiving RPL may affect the course cost, course duration and your student visa. Any changes will be reported to the Department of Home Affairs (DHA) via PRISMS. The funds required for prospective Student Visa applicants to demonstrate their ability to meet living costs in Australia is $18,610 per year. For further details, please refer to DHA Genuine Access to Funds. Students are advised that any school-aged dependants accompanying them will be required to pay full fees if they are enrolled in either a government or non-government school.